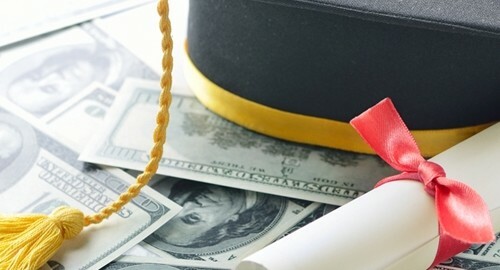 On Wednesday, the independent Government Accountability Office (GAO) submitted a report to the United States Senate Special Committee on Aging, revealing that a small but growing number of retirees may have their financial security compromised by outstanding student debt. In 2010, 4 percent of senior households still had unpaid student loans, up from just 1 percent in 2004. The total value of those debts has increased drastically, from $2.8 billion in 2005 to $18.2 billion in 2013. According to the GAO, 20 percent of seniors' student debt was not a result of loans taken out for their own education, but rather for their children or other dependents. The report also notes that, of the remaining 80 percent, not all of it comes from retirees' undergraduate days, and that some of that debt is a more recent result of continued education, often required by their jobs. For seniors, outstanding debt can have serious consequences, including having part of their Social Security checks withheld. In 2013, 155,000 people had their benefits garnished, five times as many as those who did in 2002. "Such debt can reduce net worth and income, thereby diminishing overall retirement financial security," reads the report. "Student loan debt held by older Americans can be especially daunting because unlike other types of debt, it generally cannot be discharged in bankruptcy." Student loan is growing across all age groups, and the GAO's report makes a point of noting that the percentage of it that is in seniors' hands is still very small. Student loan management software can help borrowers avoid carrying debt long after their college days are over. Amortization schedules set automated payments to ensure peace of mind for both borrower and lender.